thus we repair the world. The boundless power, source of every power, manifesting itself as life, entering every heart, living there among the elements, that is Self. In past centuries, the spiritual work with this light has focused on the inner journey back to God, the reclaiming of our essential nature. In this process we realize the oneness of our light and divine light. But there is another dimension to the journey—the mystery of how our individual light relates to the light of the whole. When consciously recognized, this hidden aspect of spiritual life orients the seeker away from solely a personal journey back to God, and turns one’s attention toward service to the whole—a commitment not just to one’s own evolution but to the needs of humanity, the earth, and the needs of the divine alive within both the created and uncreated worlds. The mysteries of how one’s individual light affects the light of the world—and the responsibilities within this relationship—are part of a body of spiritual knowledge that needs to be made known at this time. Our world is dying and it is calling for the light of spiritual regeneration, a light given by individuals committed to this work. At this point in our collective evolution, a door could open. This door has to do with the mysteries of oneness and our responsibilities to the whole. It is an opportunity for spiritual empowerment and revelation. And it will be through claiming our relationship to the whole—not just to our individual needs—that we can take a step into spiritual maturity and respond to the real need of the moment. The divine power that resides in our heart and connects us all in an unending flow of life and light has a role to play in the world, in both the healing of past wounds and in the creation of the future. Our own individual efforts—efforts born from fractured psyches and corrupted souls—cannot undo the damage that has been done to the earth or humanity, nor can we imagine what is truly possible. It will be through spiritual empowerment—through recognizing that our individual light is part of a greater light—that the divine will play its part in the co-creation of a new era. But how do we wake up to this inner power? How can we allow the divine light within us to work for the world? The mysterious relationship between an individual’s light and the light of the world has been known in many ancient traditions. Just as the earth-based shamanic traditions understood that their work is always for the sake of the whole, so is all real spiritual practice. Christian monks and nuns praying in their cells were not just praying for their own salvation, but the salvation of all mankind. The yogi in deep meditation was not just dissolving his own individual self in the universal Self, but bringing that universal light and power into this world. The tears of the great Bodhisattvas are the tears of all humanity. But this deep awareness of how our light contributes to the whole has largely been forgotten. In the West we are the victims and purveyors of spiritual censorship, a censorship so profound and deep that we no longer even know of what we have been denied. When the Catholic Church turned toward worldly power and denied spiritual power they systematically deprived us of our spiritual heritage. The Gnostic Gospels were purposefully lost along with the suppression of the Gnostics. Any other initiates who understood and had access to real spiritual power, like the Cathars, were ruthlessly repressed. In recent years we have begun to have access to real spiritual teachings. Some of the Gnostic Gospels have been recovered, and teachings such as the Gospel of Thomas have revealed the esoteric depths of Christianity. The West has also benefitted from Buddhist and Hindu teachings brought from the East. Sufism has also made its way to West, with its profound understanding of mystical states. Yet it is as though we are still denied part of these teachings, as though certain doors of possibility and power remain closed. In part, it is our own self-interest that keeps them closed. Few in our Western culture acknowledge spirituality as a living, transformative force in the world. Instead, it is limited by fantasies of inner fulfillment, personal power or the image of enlightenment. Often we use spirituality to answer unmet needs rather than giving ourselves to its deeper calling, true self-sacrifice and service. There is little awareness or respect for real spiritual power and its purpose. For example, in Sufism there are the teachings of the awiliya, the friends of God, who look after the spiritual well-being of the planet. In Judaism there is a similar body of hidden initiates known as the Lamed-Vav Tzaddikim, or Righteous Men, 36 in number who help to avert disasters. But who among us truly believes in the existence of real spiritual masters, or believes that our visible world is part of a larger unfolding process guided by such great beings? Many spiritual traditions contain seeds of wisdom pointing to this vaster possibility. Tibetan Buddhism emphasizes the Bodhisattva path in which one works not for one’s own enlighten-ment, but for the enlightenment of others. Specific practices include symbolically creating a world of harmony and perfection for all, and taking in others’ suffering and offering one’s own happiness in exchange. These practices point to our role in a collective transformation. But do practitioners fully recognize the potential of spiritual practices to change our world? Do they accept this responsibility? The time has come for us to ask how we can take this step toward spiritual maturity. How can we recognize the part that we each have to play? First, we need to acknowledge the fundamental reality that we are connected to each other, that spiritual gifts are given for the sake of the whole. Some doors of spiritual power and understanding will only be opened with an attitude of service—an attitude so undervalued in contemporary culture. Our Western pursuit of individualism, our focus on the individual self, has claimed spiritual treasures almost solely for the purpose of individual development. We think love is given solely to help us feel better. We long for peace so our troubles will go away. Only too often we regard a spiritual path as a way to enrich our self. We rarely live the primal truth that we are never given for our self, but always for others. Second, we can acknowledge the obvious needs around us—the needs of this world, the created world. Divine light has a role to play here. Just as we hesitate to look beyond our own sphere of needs to be of service to the whole, so too is it hard for many to leave behind the prejudice that spirituality is somewhere else. Our world is dying not just through exploitation and greed but through a denial of the sacred that unifies us all, the sacred that gives meaning and purpose to every life, at every moment. We have separated spirit and matter and thus live in a world starved of spirit. Unless spirit can return, nothing new can be born. We will continue to live in a materialistic desert empty of joy. In order to claim this vision of unity we do not forsake our individual work—this will always be necessary. Purification and inner work, what the Sufis call “polishing the mirror of the heart,” gives us more access to our own light. We free it from the distortions of our lower nature and the veils of the ego, so that our light can shine more brightly, and become more and more a part of our consciousness. It is this light which guides us Home, leads us from the world of duality to the oneness that is within and around us. Through this light we make the journey from separation to union: we consciously reconnect with our divine nature. Traditionally, it was only when seekers realized the stage of union, unio mystica, that they were shown how their individual light connects to the light of the whole. This awareness came after many years of practice, when one awoke with the realization that the individual atman is the universal atman. In this realization everything is connected, there is no other and no individual self. But now we need to place this awareness at the beginning of our journey: to reconnect the individual with the whole as we take our first steps on the path. This is possible now in a way that has not been possible in the past, in fact it is a necessity. The needs of the whole cannot be ignored, or our planet risks widespread destruction. Human and ecological disease and degradation are too imminent to disregard. The world is calling out for oneness, for unity, and needs the light of all of us. It is a commitment we each have to make in our own way, and cannot be forced. But we can be made aware of the real potential of our practice: that we can empower ourselves and the world. Then we can reclaim what has been denied us and bring an understanding of spiritual power back into the world. Our world is never going to be healed by politicians or corporations. But it can be transformed by the divine that is within each of us and within creation. One might ask: “Where are the sacred texts that tell us how to do this?” There are many spiritual texts that speak about the wonders of the inner journey, and the stages on this path. In Tibet, which was one of the last places where there was real understanding of spiritual power, there were some texts that explain this larger work, but they have been burned, lost, or remain un-translated. In the West we have a few hints in the way alchemy talks about the light hidden in matter, the mystery of divine unity: “as above so below,” and the relationship of microcosm and macrocosm, but there is no description of how to work with this awareness in our contemporary world. There are few answers, perhaps because the questions and possibilities are so new. What would the world be like if we truly acknowledged our interconnectedness? If we felt the needs of others as our own, if we answered a greater need with as much force as we employ to take care of ourselves? If we really respected the sacredness of the planet, recognizing how we are all a part of one living spiritual organism? Part of any adventure is a step into the unknown, and to allow the limitlessness of what is possible. This lack of knowing is part of the journey, part of our return to the Source, and is itself a process of empowerment. The path always brings us to a place inwardly or outwardly that calls us to trust, surrender, and give ourselves completely, and it is through this willingness to proceed into the unknown that we discover how much we are helped, and held, and how much power and wisdom is truly available to us. The Source will always nourish us with what we need if we are able to be receptive and listen. It is time to trust the light itself, trust the light that is within and around us, trust the divine to awaken and teach us. Just we know in our own journey the power of synchronicity, of connections being made by an unknown hand, of teachings and wisdom being given through dreams or intuitions. There is a Sufi saying “It is the consent that draws down the grace.” If we can say “yes” to our own light and acknowledge that it belongs to all of life we step out of the imprisonment of our individual self into the world that needs us, that needs our light. Then we begin to live in the presence of the divine, a divine that is not constricted by our patterns and plans, or our images of duality. This light—free—can flow where it is needed. In our spiritual practice we can offer ourselves to this larger purpose by consciously acknowledging the basic truth that every prostration, every mantra, every breath that repeats the name of God, is the world in prayer, is the world remembering, reconnecting with its divine nature. We need to realize that our light is the light of the world, and as we work with our light through our practices we are bringing this light into the world. Our light follows consciousness. As we remember that our practice is always for the whole, our light will flow into the whole. The simple acknowledgement that our spiritual light is part of the world is a return of divine consciousness to the world. And when divine consciousness reawakens in the world anything can happen. We can begin to rediscover the secret potential of spiritual power, the power that threatened the Church and caused the Inquisition to hunt down the Cathars. We will realize that there is a power greater than worldly power, and that this is power is all around us and within us. This is the power of our divine light, a light that belongs directly to God who is the Source and Creator of all. Because this power belongs to the Creator, it is not limited by the apparent laws of this world or by the constraints of worldly power. It is known as miraculous, yet it is as simple as the direct action of the divine. As we consciously affirm our light as part of the light of the world we step into unity, and it is this unity that the world needs. Unity consciousness is a powerful and healing force. Individual consciousness that knows and affirms that it is part of the whole is a true empowerment, because one is no longer isolated with the image of a separate individual self. There is nothing more disempowering than being isolated, alienated, separate. Knowing that we are one reconnects us with the whole of life in every moment, and in this reconnection we both empower and are empowered. Our spiritual light is the light of the whole, and our light is also in service to the whole. Oneness is our real Self. Everything is an aspect of Oneness. And our quest to know this comes from Oneness. It is time for humanity to reclaim the knowledge of how the divine works within creation. It is time for us to step into spiritual adulthood and realize the true meaning of co-creationism: our divine light working with the divine light within creation. It is up to us. If we do not take this step, a door will remain closed, and the soul of the world will know the despair of a lost opportunity. If we respond to the call of the times, we will play our part in the miracle of life being reborn. Abhinavagupta on the teachings of Non-dual Kashmir Shaivism. 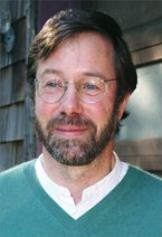 Llewellyn Vaughan-Lee is a Sufi teacher and author. In recent years the focus of his writing and teaching has been on spiritual responsibility in our present time of transition, and the emerging global consciousness of oneness (see www.workingwithoneness.org). He has also specialized in the area of dreamwork, integrating the ancient Sufi approach to dreams with the insights of modern psychology. Llewellyn is the founder of The Golden Sufi Center (www.goldensufi.org). His most recent books are Alchemy of Light, Working with the Primal Energies of Life, and Spiritual Power, How It Works.